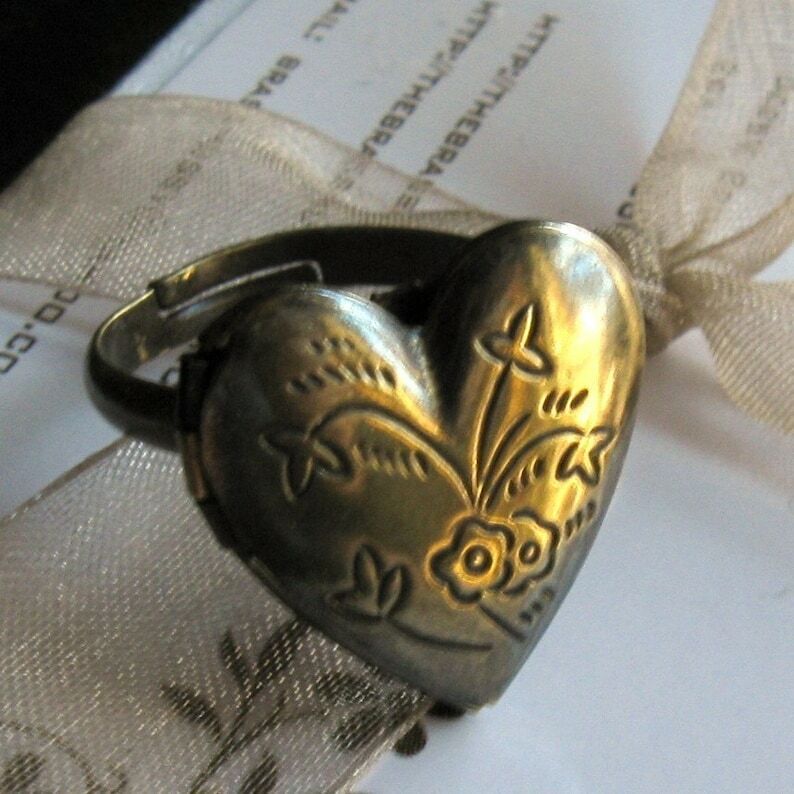 Heart Poison Ring made out of a brass locket. The locket is about 3/4 an inch. Large enough to hold a small picture or a little solid perfume. Please contact me for a quote on Insurance and expedited shipping if needed. Cute! Just what I was expecting. Got here in 9 days. 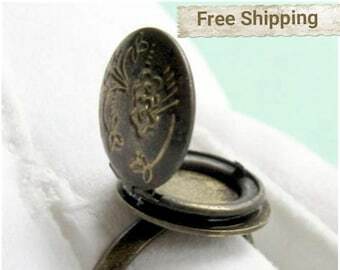 Sharp looking ring. Fast shipping.